Well not really because we aren't using a ripper we are using a chisel plow but I just liked how the title sounded! 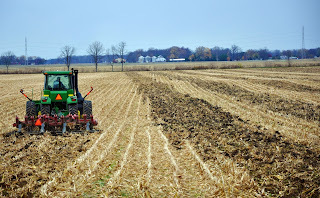 We have done quite a bit of fall tillage this year, some with a vertical tillage tool and then also with a chisel plow. 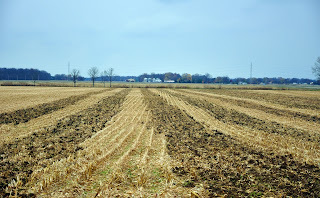 We fall plow corn fields that we intend to plant back to corn next year, continuous corn. 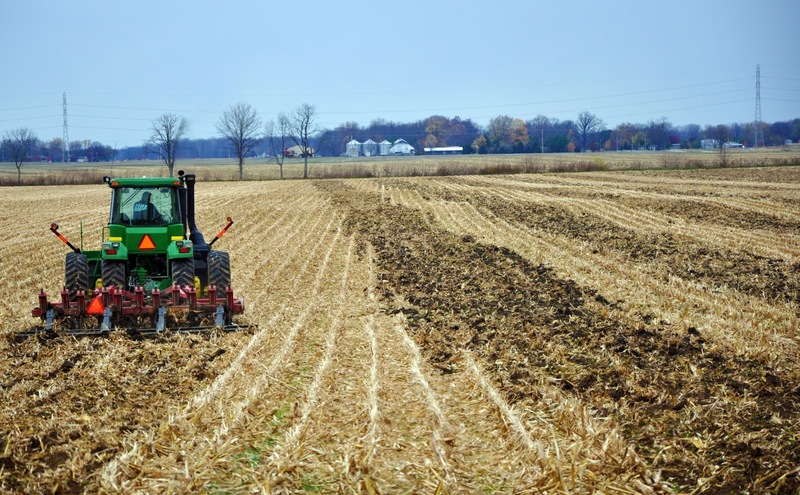 Mixing the heavy residue into the soil promotes decomposition, reduces disease pressure, and allows the soil to absorb more warmth quickly next spring. The soil mellows over the winter as it gets wet and drys, freezes and thaws. We used an Outback light bar guidance system in the 9200, which spaces our passes evenly, preventing overlap, maximizing the width of the plow. Plus we skip passes so we don't have to turn very sharp, then we come back through plowing the gaps we left. 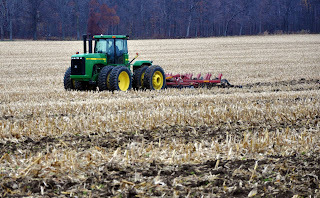 I'll be honest - I LOVE PLOWING and PLOWED GROUND! I love the look and the smell of fresh turned soil. 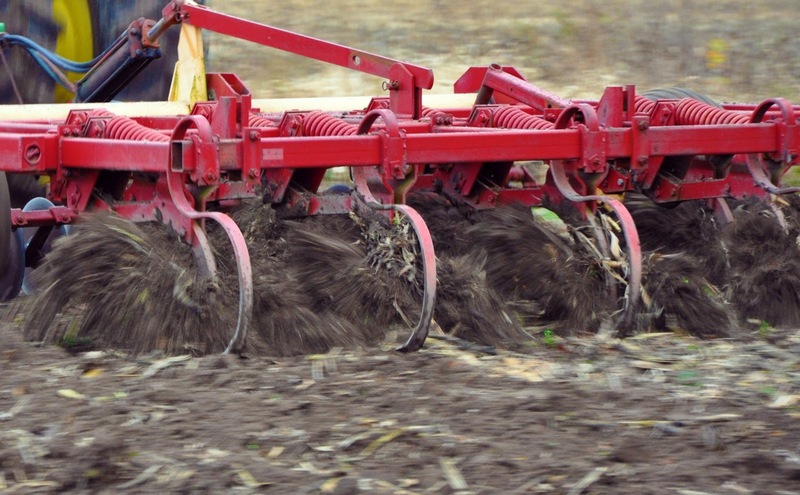 I know that there is a lot of talk about no-till, but if I were that little seed and I had a choice between a soft, warm, broken up seed bed or a slit in the hard cold ground - I am going to choose plowed every time! Happy plowing! We are with you and go with minimal till. I like my pillows fluffed a bit too! I think we are also using some cover crop over some ground to keep the soil from blowing over to Ohio when the Illinois winds kick in January. Rumor has it, though, it will all be covered in a nice big blanket of snow! ACK! ;-) Still helping other farmers get their corn out. Have a great weekend. Very informative post Jent! Like the last picture. 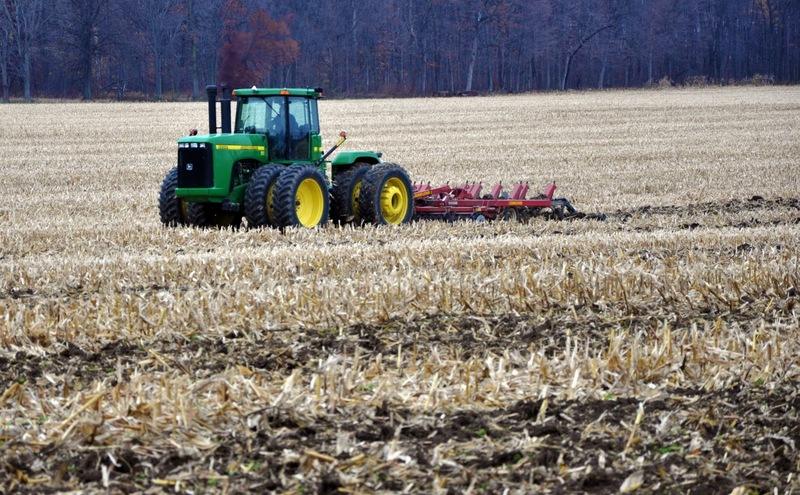 Rip'er, I miss doing that but I wish you could see the structure my long-time No-till soil has. If I were a corn root, I would choose No-till. Just sayin. I agree with the smell of the soil If you are not there you miss that part of farming. We are also plowing some ground. 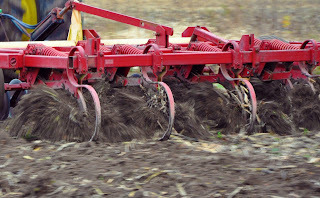 Anonymous - I would love to see some pics of the soil structure of your no-till ground -seriously - we do some no-tilling and I do believe there is need for it - I also believe there is a place for plowing as well - both for the soil and crop - as well as my soul! I'm a no-till girl. I have hills, and need to prevent erosion. Plus it's more economical, and I can't complain about the yields I've had. 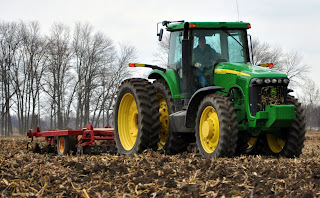 Your farming articles are very informative and the pics add so much. I think that there is a time and a place for both types of soil preparation, but when it comes to looking out across the fields the sight of that freshly turned soil cannot be beat. And the smell in the air rivals the smell of corn drying!! Great pictures and very informative post! I don't know enough about the arguments surrounding till or no till to have an opinion...worm poop works either way. I do know that unless your garden is covered all winter to protect it from rain, tilling gardens is necessary here in the marine climate of the Pacific Northwest due to the high acidity of the soil--we have to incorporate that lime in there come spring or the only things that grow will be berries. Large scale farming of anything other than hay and berries is uncommon in this area, and the acidity of the soil may be the reason, but probably a combination of factors...not sure, haven't really talked to any real farmers in this area.